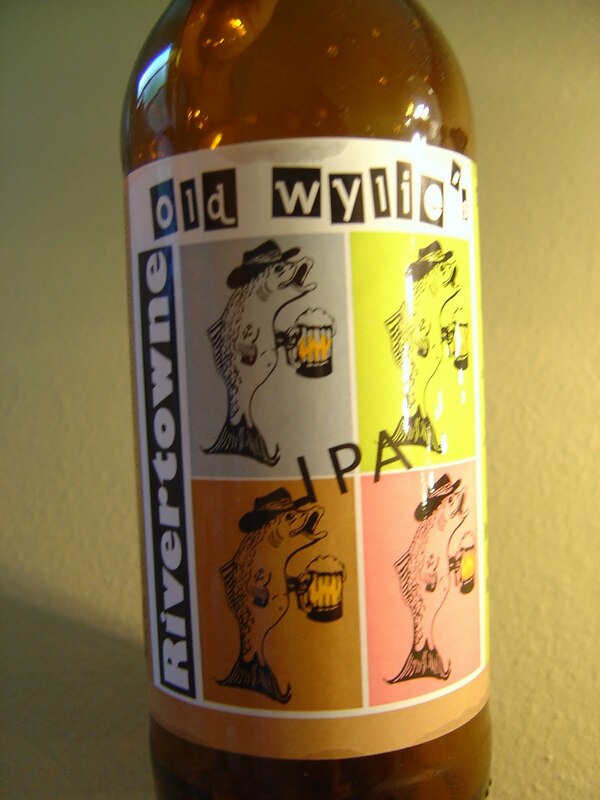 Tonight I'm drinking a beer that I brought back from my Pennsylvania trip last week--Rivertowne Old Wylie's IPA brewed by MKGFB, Inc in North Versailles, Pennsylvania.The label depicts four identical fish drinking a mug of beer, each shaded in different colors. 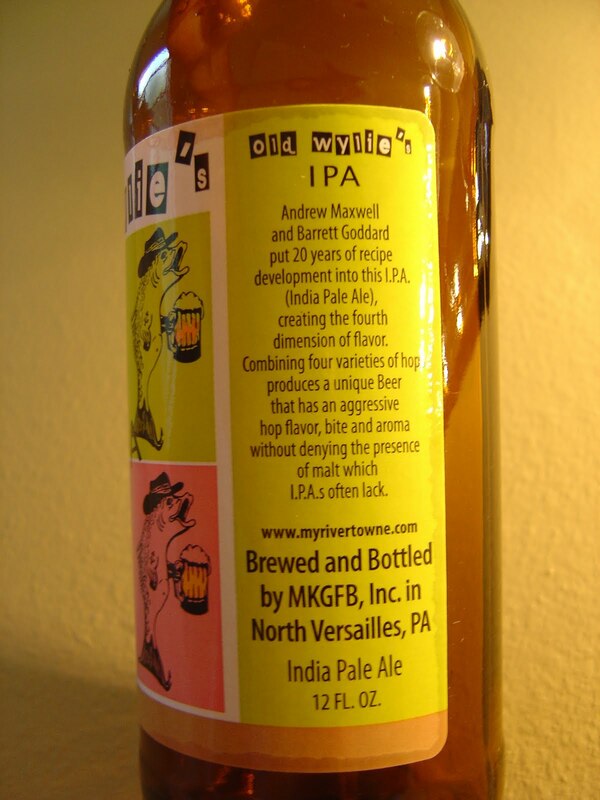 The label goes on to say that the two guys that developed this beer spent 20 years of development to create the "fourth dimension of flavor". Can't wait! Holy man! The head is ridiculous, everywhere. Oops, I think I know why. Let me take a taste to verify my hypothesis. Yep, something went wrong and this beer was infected at some point along the way. Nasty bitter, medical and chemical flavors over a hoppy base. Super drying and annoying. I poured almost the entire beer. If you recall, I had this lesson before when my friend Brew Sleuth taught me about that kind of stuff. Classic beer-gone-wrong situation. And it's too bad. I had never heard of this brewery or beer and likely wont have another opportunity on this one for a long time. Yeah, but if you drink enough beer, it's bound to happen. We had our first batch that got infected recently (surprising that it hadn't happened sooner). 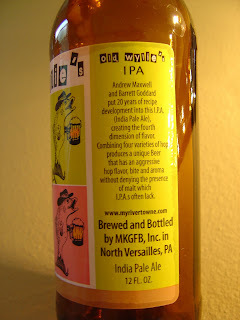 As far as we can tell it was something from the pilfered neighbourhood mangoes I used in my wheat ale. Fortunately the "infection" has served to just make it a little more sour than I expected. In fact, I think it may have improved it! Sorry that wasn't the case here! It's going to be tough to replicate that beer again. This one tasted like an examination room.